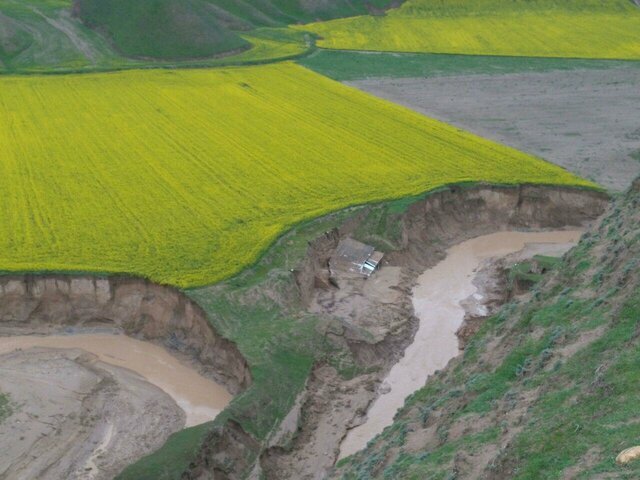 An ancient structure in Iran’s northern Golestan province has proved to be resistant to the recent flash floods which hit much of the country over the past weeks. 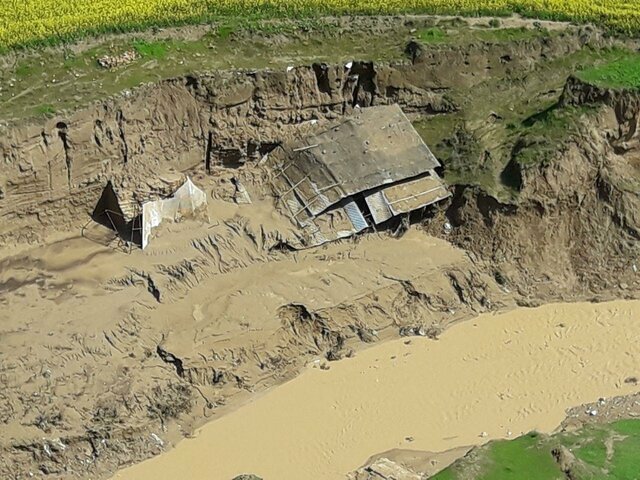 “Some stretches of the Historical Wall of Gorgan in Gomishan and Aq-Qala areas are still under water, but this historical wall is not facing the threat of possible destruction as the water [which has inundated it] keeps flowing,” said Ebrahim Karimi, the director general of the provincial Cultural Heritage Department. Speaking in an interview with ISNA, he said provincial protection units have been deployed along the wall. He added the Islamic Revolution Guards Corps is constructing a canal to direct water toward the sea. 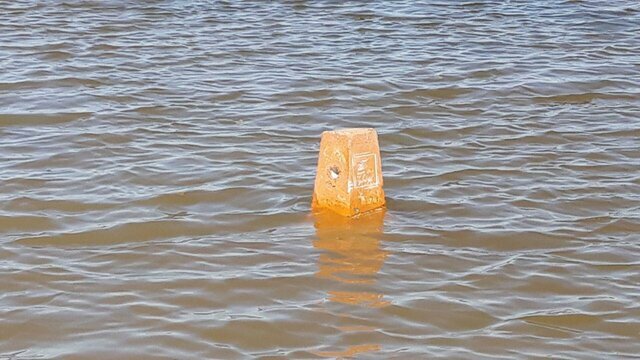 “Based on the arrangements made, the path of the canal does not run from under the wall, and this means the wall is fortunately facing no threat of destruction,” he stated. Another official has also weighed in on the issue. “The Gorgan Wall runs parallel with the Gorganrood River. In its western part, the wall is almost level with the ground. So, the wall is not that high,” said Jebrail Nokandeh, who is in charge of archaeological research on the Historical Wall of Gorgan. He said the wall goes back to the Sassanid era and used to have a moat with a width of 30 metres. “After all, all sites had moats during the Sassanid era,” he noted. This archaeologist said the wall was, in fact, a system to contain floods. He said the wall also had military applications. He noted parts of the wall runs across the river bed, and some parts lie under the ground. 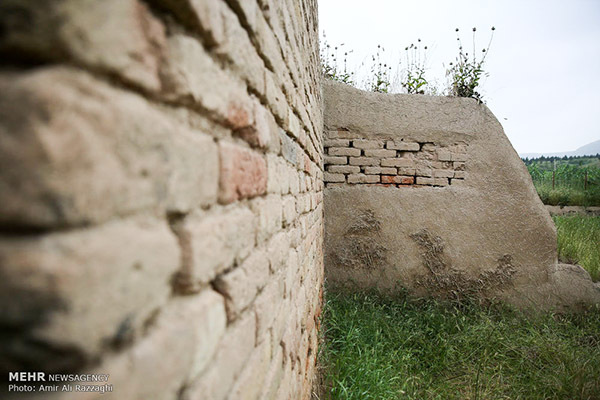 “The wall is under the ground in Gomishan area as well, and almost no brick can be seen on the surface,” he said. He added there used to be castle-cities on the Gorgan plain, and that no one lost their lives when floods hit those castle-cities as they had minor and major canals as well as moats, which kept water from getting in. He said there is also a water canal in the north of Aqqola going back to the Sassanid era. Meanwhile, experts say the wall should not remain under water for long. “If the Gorgan wall remains under water for a long time, that will affect the wall’s architecture. However, mainly the moat next to the wall has been filled with water so far, and the moat has not been affected,” said Hamid Omrani, the director of a cultural heritage office charged with protecting the Gorgan wall. He said a 40-kilometre stretch of the wall has been deluged, and roughly 70 to 80 kilometres of the wall have been affected. According to him, parts of the moats, wall and associated castles are also being threatened by water in some parts. However, the wall could serve as a perfect barrier to hinder the flow of the recent deluges.